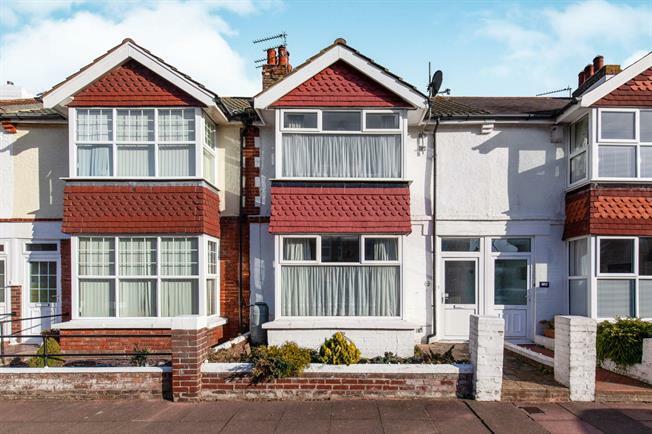 3 Bedroom Terraced House For Sale in Eastbourne for Asking Price £300,000. Ideal for families is this spacious and well presented accommodation. The properties accommodation comprises, entrance porch, entrance hall, well presented living room with bay window to the front and access to the dining area with window to the rear. The kitchen is a good size, fitted with a range matching wall and base units, work tops and appliance space, there is a lobby leading to a conservatory that also hosts a w.c and storage cupboard. Upstairs there are three bedrooms, the master is a bright and spacious, great sized second double bedroom and generous single third bedroom, the accommodation is complete with recently fitted family bathroom. To the rear of the property is a neatly presented rear garden.